3 quiet, energy-efficient speeds - allows this free standing pedestal fan to provide a cooling breeze around the home or home office. With a portable design, this fan is ideal for the bedroom, living room, or near your desk. Low, medium, and high speeds make this fan well suited around the whole house. 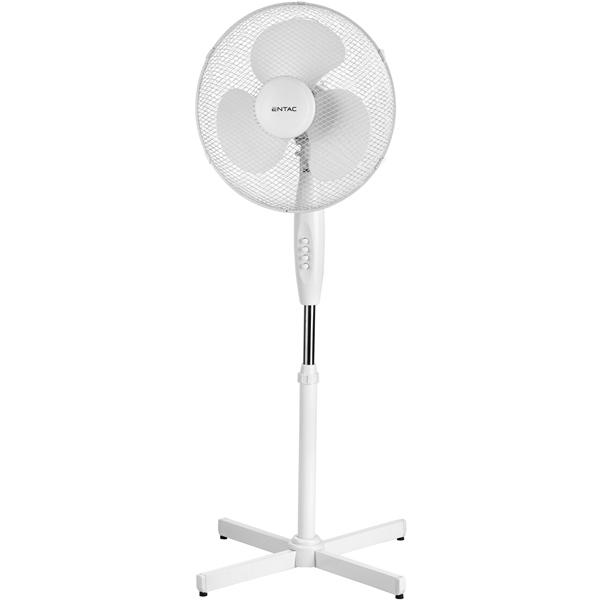 Adjustable height & tilt-back head - give you the ability to direct the cooling breeze right where you need it. 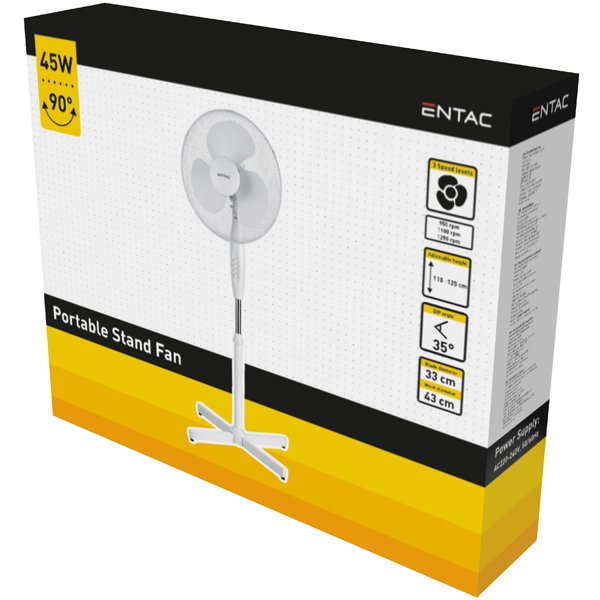 The fan's stand or pedestal, adjusts up or down changing the fan's height from 110 to 130 cm while the tilt-back head lets you aim the air towards the floor, ceiling, or anywhere in between. Widespread oscillation - describes the action of the fan head moving from side to side to blow air throughout the area. Oscillation allows for the fan to provide ventilation for a wide area. This makes the fan great for larger spaces. Simple no tools assembly - means you'll have your fan assembled in no time. Simply follow the included instructions to assemble the base mount to the extension pipe, fan blades and grill and you're done.